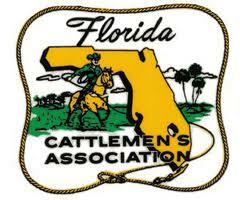 Real estate related services represented at the Florida Cattlemen’s Annual Conference and Trade Show. Our service, whocanihire.com had the opportunity recently to introduce our services at the Florida Cattlemen’s Association Conference and Trade Show. Among 100+ exhibitors who participated in the trade show many were established companies in the Florida real estate market; such as Bankers South, Farm Credit, Florida Outdoor Properties, Land South Realty, and Saunders Real Estate. We wanted to take the opportunity introduce whocanihire.com to your industry. “Social Media and Global Positioning is critical in today’s business world” said Stephen Jara President & Managing Broker for Pristine Properties. Jara continued “Our ever changing world of Social Media and Web Presence needs to be reviewed on a continual basis or you will find yourself behind the eight ball in whatever business you are in”. Real Estate has become a global business with buyers and sellers looking at every avenue to find and promote themselves. Suzanne Morton of The Mortgage Firm, an affiliate member of the Cattlemen’s Association was also at the convention explaining the benefits of various mortgage programs through the USDA and FHA while mingling with members. The Mortgage Firm also utilizes whocanihire.com as one of its marketing tools, “Listing your business, trade, or profession with whocanihire.com means your business will have a dedicated page on an explosive site that will put you in front of the customers you need" said Suzanne Morton. The convention offered numerous educational and committee meetings and was overwhelmingly attended. Any questions about how whocanihire.com can help market a business or service should be directed to rick@whocanihire.com or call Rick at 888-700-8290.